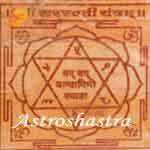 Vayaparvridhi yantra is for Success in Business.This yantra is taken from "Sunderhy Lehri"and is carved on copper plate with Beej mantras. It is 24 caret Gold plated. It is recommended for evry person who has his office or a shop or a showroom to keep the it at his place and see the difference. 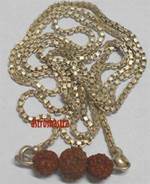 It is fixed at the place of business and is used to increase sale in business or when the business of any body is under check by opponents, the yantra acts as antidote and sale and business improves a lot. It bestows wealth and happiness. The yantra has been tested at many places successfully. The persons who are out of employment or wants upgarding in their service or increase in the business must use it. 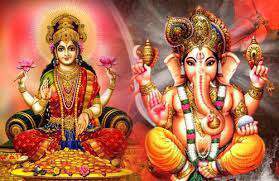 The Yantra contains the images and yantras of Goddess Lakshmi and Lord Ganesha. In the centre we have swastik and Vyapar vridhi numeric yantra.